All transactions from our site are in Canadian dollars. Provincial taxes to Canadian destinations will be applied during the checkout process. Orders shipped outside of Canada do not attract any tax. Currently, we only ship to Canada and the United States (excluding Puerto Rico, Alaska, Virgin Islands and Hawaii) . If you would like a product shipped internationally, please contact us and we will gladly see what we can do. Items shipping to standard destinations within Ontario & Quebec use Purolator Express and all other provinces and the United States use Purolator Ground. On rare occasions for beyond destination deliveries to more remote locations we will use Canada Post (with tracking) to enable shipping rates to stay reasonable to those destinations. Once the order ships our store will provide tracking info. It is the customers responsibility to track the order once it leaves our warehouse. Unfortunately we are unable to provide postal options for the Foot Valve Socks due to the items not being trackable within this system and as a consequence of the unreliability of delivery within the postals service. 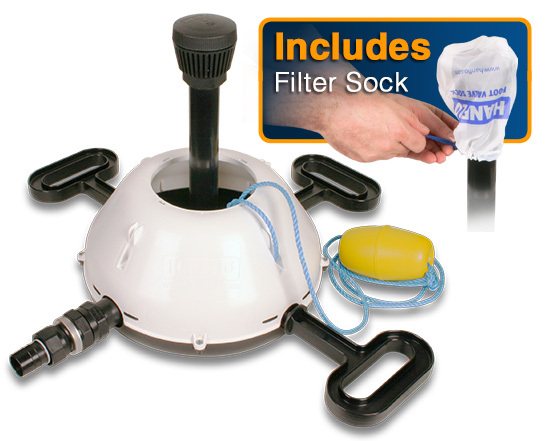 All Foot Valve Socks will ship via Purolator with tracking. We therefore encourage purchasing several at a time to make this more cost effective for delivery. All orders received by 11 am will be processed and shipped either the same or next working day at the latest. Items shipping to Ontario or Quebec via Purolator Express normally arrive the following day once the item has shipped. Items shipping to provinces other than Ontario or Quebec via Purolator Ground normally arrive between 2 to 4 working days from when the item ships. In some cases, Purolators Ground service may take a little longer though. Please allow up to 21 days for delivery of items sent via standard post. Please ensure that you provide accurate and correct shipping information with any additional special instructions to avoid any difficulties with the courier. All courier packs are sent with signature required. If you do not require a signature and for the item to be left unattended, please include comments in the "Special Instructions or Comments About Your Order" box during the checkout process, however please note that items left in this manner are at the receivers responsibility as we can not make claims for lost or stolen items otherwise. Please also provide a physical address for delivery, Purolator will not deliver to P.O. Boxes. Once the item leaves our warehouse, we will provide tracking information via email and it is the customers responsibility to track the item once it leaves our warehouse. If you have any issues concerning tracking and delivery please contact Purolator and quote your tracking number. If there is any concern with your order, please contact us so we can promptly correct it. Any disputes concerning an order must be raised within a 7 day period of delivery of you items. Items in original unused condition may be returned within 30 days from purchase for a refund. All items are subject to a 15% restocking and repackaging fee. This fee will be deducted from your refund. Refunds do not include original shipping and handling fees paid on the order. To write a review for a product simply go to the page of the product want to review and click the 'Write a review' or 'Read a review' then 'Write a review' button at the bottom of the page. You will need to log into your account to write a review. Reviews will be made live to the site once approved by Cottage Water Systems. Our payments processing uses PayPal, which allows you to pay securely using your Credit Card (no PayPal account required!!! ), OR by logging in and paying using an existing PayPal account. 1. Use the correct billing address associated to the credit card you are making the payment with. You can adjust the billing address on the payments page if you need to. 2. If you have paid with PayPal in the past using the same credit card, try to use the same email address you used in previous payments as PayPal cross checks this information as the transaction is processed. If you have any further difficulties, we recommend making an account with PayPal first, then logging into your PayPal account during our checkout process, or alternatively you can call PayPal directly so they can help resolve any issues you may be experiencing with your card. You can make a PayPal account via their website at www.paypal.com, or call them using the contact us link at the bottom of their website.